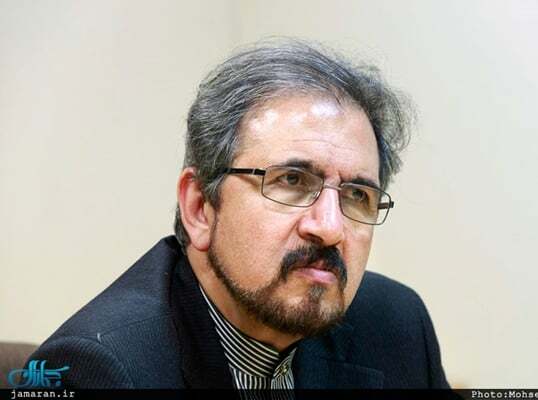 Iranian Foreign Ministry Spokesman Bahram Qassemi has expressed deep regret over a terrorist attack on a bus carrying Iranian pilgrims in the Iraqi city of Balad, which killed and wounded a number of them. In a Monday statement, Qassemi strongly condemned the brutal and inhumane attack, saying that the Iranian foreign ministry and the country’s embassy in Baghdad are seriously looking into the incident and pursuing the conditions of those wounded. “The rejected and defeated terrorist groups in Iraq are still under the delusion that they are in existence,” he noted. “They wishfully think that they can damage the strong bonds and unity among the Iranian and Iraqi nations by committing such inhumane crimes, but they won’t achieve their inauspicious goals,” Qassemi said. “Such disasters will strengthen the two nations’ resolve to fully eradicate the remnants of criminals,” he added. Several Iranian pilgrims were wounded on Sunday after the bus carrying them in the south of Iraq’s Saladin governorate was targeted by terrorists, an Iranian official confirmed. Nine Iranian pilgrims and an Iraqi assistant driver have sustained injuries in the attack, three of whom are in serious conditions, said Morteza Aqaei, a senior Iranian pilgrimage official. Seven people have been transferred to a local hospital in the city of Al-Balad, and others to Kadhimiya hospital, he added. The pilgrims were from the Iranian city of Parsabad Moghan in Ardabil province, north-west of Iran. Regarding the type of the attack, some media reports described it as an improvised explosive device (IED) that exploded in the roadside, but there were also reports that the terrorist have opened fire on the bus.